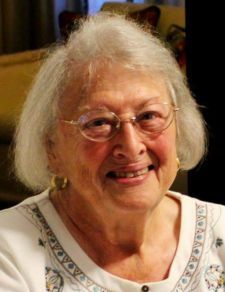 Earline Winn Cooper, age 90 of Eden, passed away on March 15, 2019 at Forsyth Hospital in Winston Salem. Mrs. Cooper was born September 2, 1928 in Rockingham County to the late Henry Ramey Winn and Flora Dixon Winn. Earline graduated from Greensboro College with a degree in business. She retired from Moore County Hospital in Pinehurst. She was a member of First Baptist Church of Eden. She was survived by her husband who just recently passed away on April 7, 2019, Dale Cornish Cooper. Surviving are sons, David Cornish Cooper of Lexington, KY and William "Bill" Henry Cooper and wife Cathy of Eden; sister, Betty Youmans of North Augusta, Ga.; 2 grandchildren and 8 great grandchildren. Memorial contributions may be offered to the Eden Library. Dear Cooper Family. I am so sorry for your loss, may you find comfort in the words recorded in John 5:28,29 where Jehovah God through his son Jesus Christ promises to bring back our dead loved ones! Then people everywhere will be able to live as Jehovah God purposed for them to live ——- forever in perfect health. Hope this brought you comfort, for more please visit JW.org.